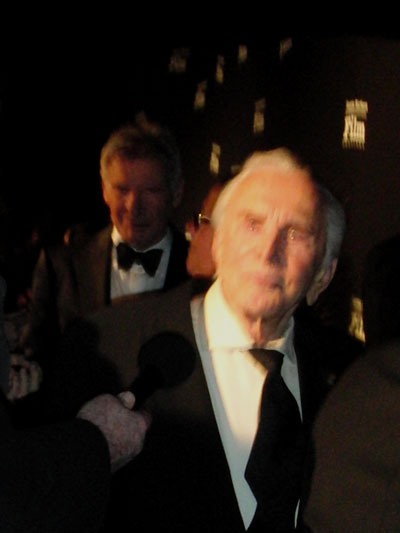 Harrison Ford was honored with the Kirk Douglas Award for Excellence in Film by the Santa Barbara International Film Festival, in an event at the Coral Casino in Montecito. The Santa Barbara International Film Festival (SBIFF) is thrilled to welcome back three-time Academy Award nominee Annette Bening by bestowing her with the American Riviera Award. Bening, who has received critical acclaim this year for her performances in The Kids Are All Right and Mother and Child, will be honored at the Arlington Theatre on Friday, January 28 for the Fest�s 26th edition, which runs January 27- February 6, 2011. Bening was previously honored in 2005. 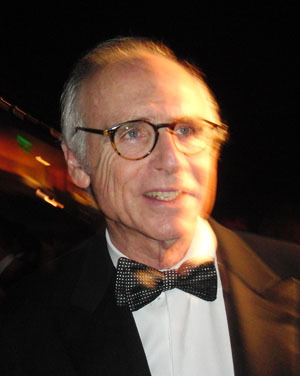 The American Riviera Award was established to recognize an actor who has had a strong influence on American Cinema. Bening will join an illustrious group of past recipients: Sandra Bullock (10), Mickey Rourke (09), Tommy Lee Jones (08), Forrest Whitaker (07), Philip Seymour Hoffman (06), Kevin Bacon (05) and Diane Lane (04). In her most recent performance as Nic in The Kids Are All Right, she expertly navigated through a vast range of emotions, bringing to light and life the non-traditional family with a character determined to keep her family together. Earlier this year in Mother and Child saw Bening personify a very different character in Karen who was isolated and distant in her relationships with everyone. Proving yet again that she is not one to shy away from a challenge, she took on two diametrically opposed versions of the modern day mother. From her work in romantic comedies such as The American President and American Beauty, to her dramatic and compelling performances in Being Julia, Regarding Henry and The Grifters, Bening consistently embraces the story as well as the character adding a level of authenticity rarely seen on screen. She has time and again made a significant contribution to the world of films and of America throughout her career. The festivities will take place at the historic Arlington Theatre on Friday, January 28, 2011. Tickets for the American Rivera Award are available now, discounted 20% until November 30 and can be purchased through www.sbfilmfestival.org or by calling 805-963-0023. Mini-Paks for the festival are currently discounted at 20%, while Festival Passes and Packages are currently discounted at 15% and on sale exclusively at www.sbfilmfestival.org and 805-963-0023. 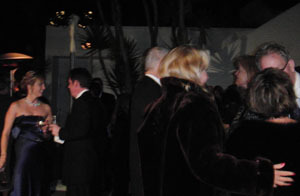 The Santa Barbara International Film Festival, presented by lynda.com, is set to run January 27 - February 6, 2011. 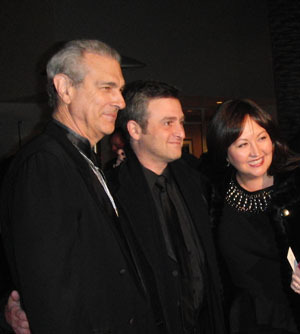 Now in its 26th year, SBIFF is a non-profit organization dedicated to enriching local culture and raising consciousness of film as an art form and continues to be an essential stop on the road to the Oscars. SBIFF presents quality American Independent, Spanish and Latin American, European, World and Documentary cinema, as well as nature and surf films, all within the beautiful setting of downtown Santa Barbara, a perfect backdrop and premier tourist destination. SBIFF is also committed to education through its 10-10-10 youth filmmakers project, Field Trip to the Movies, and educational seminars. With a projected audience of over 70,000 viewing more than 200 films over its eleven-day run, SBIFF attracts an eclectic and diverse consumer base, both locally and nationally, while maintaining strong ties with the entertainment industry in nearby Los Angeles. For more information, please visit www.sbfilmfestival.org. "Extra" caught up with famed journalist Martin Bashir to find out his thoughts on Prince William and Kate Middleton's engagement. Bashir -- who knew Prince William's mother, the late Princess Diana, very well -- said that the Prince and his fiancee plan to keep their life as private as possible. "Kate's brother and sister were told that she got engaged just three hours before it was announced publicly," Bashir said, despite the fact the pair has reportedly been engaged since October. "They told virtually nobody." The journalist added, "If there is one thing that Prince William doesn't want, is any of that. In a way, I think he's almost tested the Middleton family. They've been together for something like nine years. He's been to the family home. Has that ever been discussed in the press? No! Has it ever been leaked to a journalist? No!" Bashir also thinks this union will last. "I think this is much more about romance than anything else. William met this young lady at University. He didn't meet her at a polo match or on the grounds at Buckingham Palace. He met her at University. There's a certain meritocracy about this relationship. And I think that a more modern marriage that a traditional one." The Beverly Hilton hotel has been listed for sale with global commercial real estate brokers Cushman & Wakefield for the purpose of exploring the market, sources told The Courier exclusively, today. A sale price has yet to be determined. Sources with The Beverly Hilton's ownership said that last month's sale of the 9900 Wilshire project "triggered a great deal of interest in The Beverly Hilton property." 9900 Wilshire, which is adjacent to the hotel, sold to a group of Asian investors for $148.3 million. Since its purchase in 2003, Beverly Hilton owner Beny Alagem has invested more than $80 million to return the hotel to its former prominence. 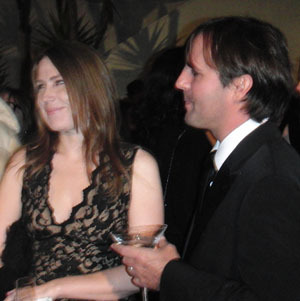 Alagem acquired the property from Merv Griffin for an estimated $130 million. TNT's upcoming series Men of a Certain Age is going to attempt to break through the clutter that is the New York City Marathon on Sunday. The series, starring Ray Romano, Scott Bakula and Andre Braugher as longtime friends in the middle of their lives, will have a presence on 59th Street and 1st Avenue, just after the racer's enter the borough over the Queensboro Bridge. Men of a Certain Age will be part of the "Cheer Zone" located at the Food Emporium Bridgemarket, which will be festooned with show banners and signage, as well as street teams handling out series items outside the supermarket. TNT will also sponsor a Men of a Certain Age team of 40 runners over the age of 40 who will wear custom T-shirs. The ING New York City Marathon will be presented live on Universalsports.com at 9 a.m. on Nov. 1. In addition, NBC Sports will televise the 40th edition on the race at 2 p.m. Al Trautwig will be joined in the broadcast booth by veteran race journalist Toni Reavis with NBC Sports' Jimmy Roberts hosting the expanded two-hour recap show. TNT also plans to back the series, which premieres Monday Dec. 7 at 10 p.m. (ET/PT) with similar sponsorships at upcoming marathons in San Antonio (Nov. 15), Atlanta (Nov. 26), Seattle (Nov. 29), and Sacramento, Calif. (Dec. 6). "Running a marathon is a metaphor for life," said Tricia Melton, senior vice president of marketing for TNT, TBS and Turner Classic Movies, in a statement. "Reaching the mid-point means new opportunities and new challenges. Our �Cheer Zones' at the turning points in five city marathons are a great way to play up that idea, which is a central theme in TNT's Men of a Certain Age." In 1988 the beautiful �Wonder Morton� pipe organ made its debut in the Arlington Theatre, located at 1317 State Street in Santa Barbara. On January 22, 2011 at 2:00 p.m. the Santa Barbara Theatre Organ Society will host world renowned organist Scott Foppiano to accompany two silent film classics. 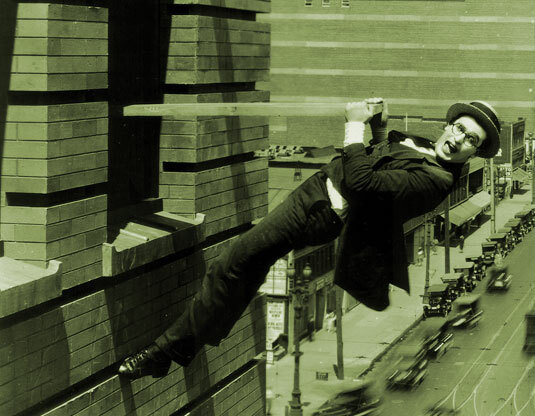 Silent films being presented include silent film short �One Week� starring Buster Keaton, and feature film �Safety Lost� with Harold Lloyd. Admission $11, free admission for children under 12 attending with an adult. This 2011 performance marks the twenty-third anniversary celebration of the original installation of the �Wonder Morton� theatre pipe organ in the historic Santa Barbara theatre. The Arlington Theatre organ is one of only five large theatre pipe organs manufactured by the Robert-Morton Company of Van Nuys, California in the 1920s. �We are delighted to have Scott Foppiano perform for us once again in Santa Barbara on Sunday, January 22, and we hope the community will join us in celebrating this rare musical opportunity to enjoy his performance on our historic Santa Barbara �Wonder Morton,� said SBTOS President Bruce Murdock. Scott Foppiano is a critically acclaimed recitalist, theatre organist and silent film accompanist who has played and recorded on numerous great classical and theatre organs in the US, Canada and Europe. He has been featured at the American Guild of Organists, Organ Historical Society and American Theatre Organ Society conventions, performed in Rome, Italy at the Vatican, and was named Organist of the Year at the American Theatre Organ Convention in 2007. Tickets for the silent film and organ performance only will be on sale in the Arlington Theatre box office one hour prior to the performance on January 22. Cost is $11.00, children under 12 with an adult are free.